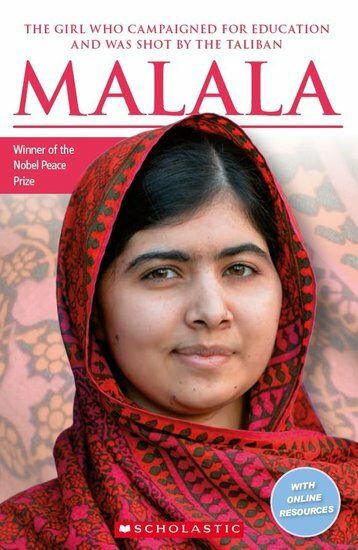 A biography telling the compelling story of Malala Yousafzai, a Pakistani school girl and activist who survived being shot by the Taliban. ‘People and Places’ section provides clear visual context before students start reading. A two-page Fact File gives information on girls from around the world who have made a change in their country. Self-study activities enable students to check their progress as they read. Also available with CD recording of story. Why choose Scholastic ELT Readers? The Scholastic range of titles reflects a relevant world that teenagers will instantly recognise. coming-of-age classics like Billy Elliot and Angela’s Ashes. The sample language does not include all elements of the full syllabus for this level.